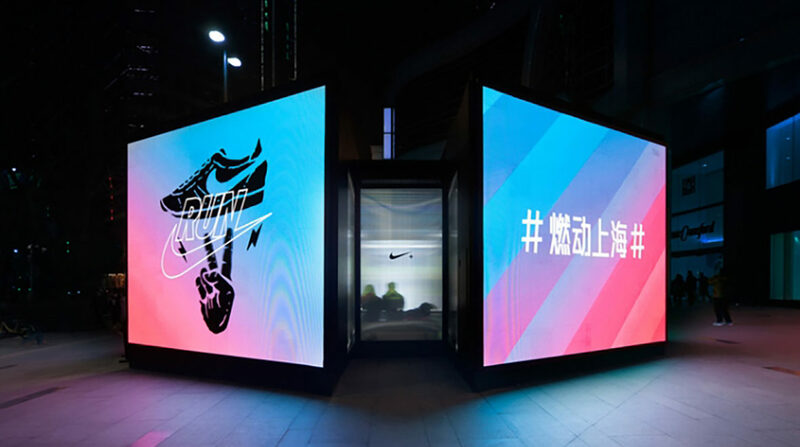 Similar to previous endeavours elsewhere across the planet, sportswear giant Nike has cleverly added a striking pop-up platform in Shanghai that serves as an extension for its popular range of running shoes. 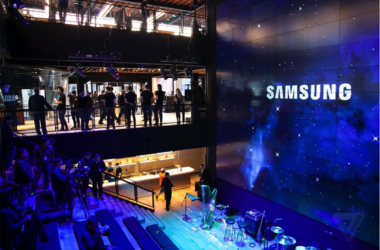 A brand experience is now a typical part of any purchase. 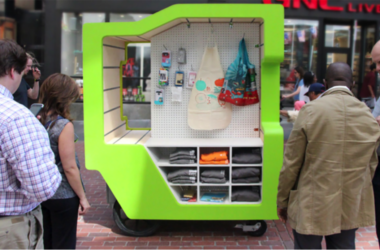 The way we feel, react and engage with a brand all play important parts in our purchase process. Nike are always bringing new ways to engage with their audience such as this pop up running club. Encouraging the action of exercising, and due to the endorphins it releases all positively influence the experience and how we feel about Nikes products. 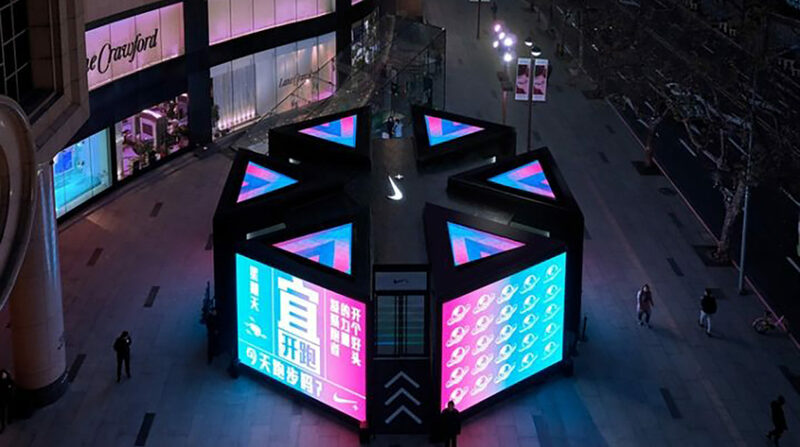 The newest Nike+ Run Club is captured by two striking pavilions on the premises of Shanghai Times Square, a high-end mall situated right in the heart of this bustling city. 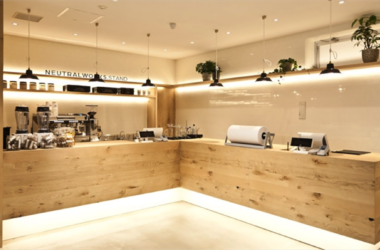 Designed by local architecture and design agency Coordination Asia, both feature a hexagonal shape, and the biggest one features dynamic media surfaces while at the same time accommodating a gym equipped with state-of-the art treadmills. The smaller pavilion is placed directly opposite, and serves as an information booth that dispenses where new aspiring members of the Nike+ Run Club are able to register, find news and updates of special running events – mind you, as people gear up and begin to run, their live performance stats are displayed both to them and on the exterior of the hub – and training classes, and last but not least, select Nike merchandise.